Saturn, “a different kind of car company”, that was the motto of the Saturn brand. Originally the company was the project of some of General Motors former leaders and employees. However GM purchased the company before they went in to production and the Saturn Corporation was formed and owned by General Motors. Saturn brochures are not too hard to get a hold of since they actually started in 1985. The first cars built were the Saturn SC and Saturn SL. Saturn was the answer to the growing popularity of cars from overseas like, Honda, Toyota and Nissan. The Saturn was designed to compete with these brands that offered excellent fuel economy and affordable pricing. Look at the Saturn brochures and pamphlets for glimpse at the early models. Saturn was serious about the brand and built a stand-alone plant in Tennessee that was solely dedicated for the production of Saturn vehicles. 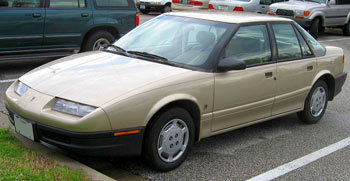 The big push for Saturn was the 1990’s with the company producing their own unique vehicles rather using rebadged vehicles from other GM lines. Saturn marketed the Saturn brand as a no-haggle brand that stressed their friendly and easy to deal with style of business. The consumer loved the idea of No-Haggle, which helped the Saturn brand hit the ground running. Saturn introduced their new line of vehicles that were uniquely Saturn’s, that were offered in coupes, wagons and sedans. The Saturn line featured some plastic panels that resisted dents and dings yet looked appealing. The Saturn brochures and sales literature below will give you a good idea of the uniqueness of the Saturn. The Saturn line had become somewhat stagnant by the year 2000. It was time for GM to make a pledge to Saturn and refresh the line-up. The Saturn L-Series was born. See the Saturn literature below, a fresh look and a little extra quality plus and expanded Saturn line-up was not the answer. We saw the introduction of the L-Series sedans, Saturn Vue, the Saturn Relay (van), Saturn Ion, and there was even a Saturn Vue hybrid. Fresh Saturn product, new models, No-Haggle plus the later introduction of the Saturn Sky Roadster, Outlook crossover and the Aura sedan and Astra Hatchback helped but it may have been too little too late. 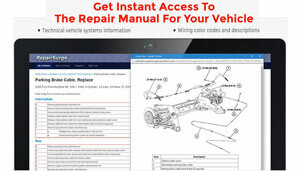 We have many of these Saturn brochures and booklets are in PDF format for easy download. 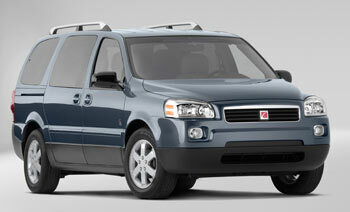 However the Saturn brand was in trouble when GM went into bankruptcy in 2009. GM offered the line for sale, but there weren’t any takers so we said goodbye to Saturn.